Developing a high performance team is a 'journey not a destination', a journey that often requires support and coaching over sustained periods of time, with appropriate and timely interventions, and an opportunity to reflectively learn. With over 13 years of experience in the business, and a broad range of corporate, elite sport and military experience and understanding, the team at Quest is your ideal partner for the design and facilitation of bespoke high performance team development / building programmes and the on-going coaching and monitoring of the teams development. In common with all Quest activities we are completely mobile and can work with you in locations not just across the UK and continental Europe, but also further afield. Initiating the process of developing team-building programmes for high performance teams requires careful and detailed communication with you our client. From that communication Quest will establish a profile and full understanding of the composition of your team, it’s professional and organisation context / culture, it’s strengths, development needs and issues. To facilitate the communication with you before during and after a programme, one method we may use is our QUESTevaluation™ process. 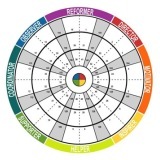 The subsequent reinforcement strategies put into place back in the office or work environment to ensure the continuing building and success of your team. Quest’s high performance team development programmes are grounded on well tested team development / cohesion models and theory, as well as applied practice. The team of Quest facilitators and consultants are able to work with you using a range of profiling, psychometric and self reporting tools and systems within bespoke programme frameworks. 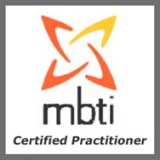 We have 2 fully qualified MBTI® facilitators, who are able to deliver MBTI® Step 1, Step 2 and 'MBTI® Teams'. 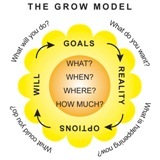 Quest similarly are able to facilitate programmes framed around or delivered through Insights Discovery, The 5 Dysfunctions of a Team Model, The Belbin Team Role Theory and Tuckman’s team development model. 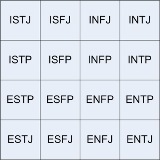 Specific information on Quest's MBTI® programme can be found here. Quest pride themselves on developing creative, bespoke and relevant experiential development solutions that draw out tangible and transferable learning that a high performance team can take back and apply within their operational context and environment. 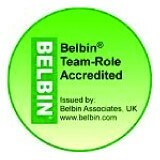 Team building exercises and interventions benefit your organisation and your team in a myriad of ways. 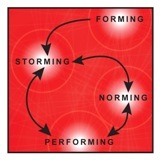 You will notice an immediate energizing and improvement in the morale of individuals. The team building may directly or indirectly highlight and help develop latent skills and abilities of individuals which when used back in the workplace will ultimately assist and increase in the productivity of the team as a whole. 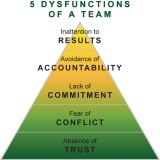 Effective communication and people management strategies are often established and / or enhanced. 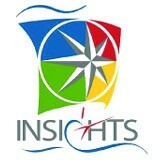 Teams are able to reinforce current strengths, allowing them to reflect on what they do well and making this consistent in their performance, and highlighting potential weaknesses and dysfunctions which can be addressed, all of which will have a knock-on effect on your services, sales targets, bottom line and your organisations ultimate success! Quest provides some tried and tested interventions that we can incorporate into your programme. Read about Quest team building interventions, exercises and ideas here. What team building and development programmes have Quest organised for other companies? To learn about the team building or team development programmes that Quest can organise for you take a look at some of the programmes we have run for other companies. You can read our team building client testimonials here, or go to the Quest News page to read write ups about programmes Quest have run recently for companies large and small. To progress that enquiry, get in contact with Quest now and talk with one of the team. We will talk to you about your programme and then provide you with a detailed proposal which will suit your exact objectives, requirements and budget.